2017 Hoosier Open Men's 5k - Indiana's Ben Veatch New U.S. Junior Record! 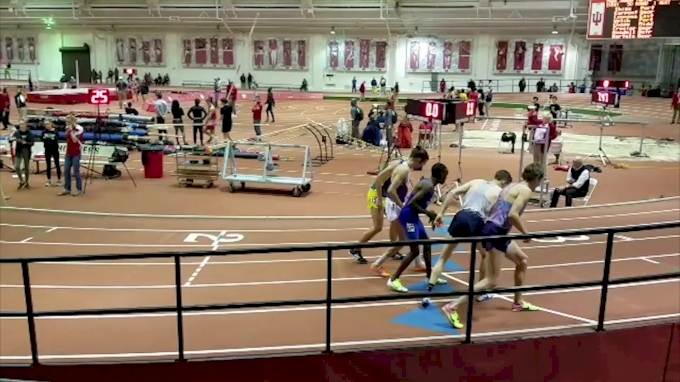 Indiana redshirt freshman Ben Veatch broke a 17-year-old record running 13:57.27 in the 5k for a new U.S. junior indoor record. He broke Stanford's Louis Luchini's mark of 14:08.37 from 2000. Note: U.S. junior indoor 5k records are only eligible on 200m tracks, over-sized tracks are not eligible for the official record. 2017 Hoosier Open Men's 500m - Daniel Kuhn 61.35 A New School Record!